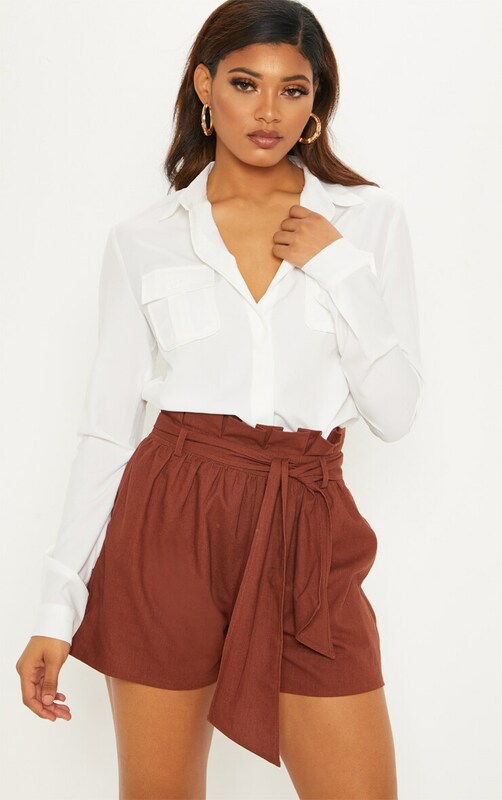 Complete your weekend look in these on trend tie waist shorts. 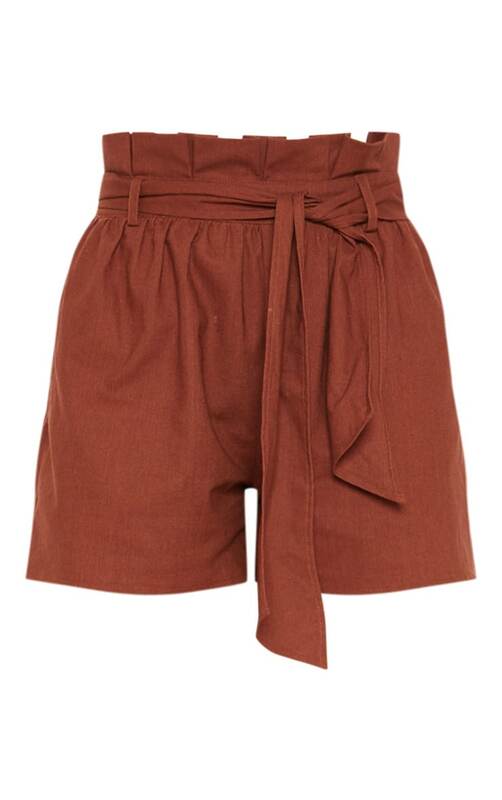 Featuring a chocolate brown material, paperbag tie waist and loose fit, wht's not to love? 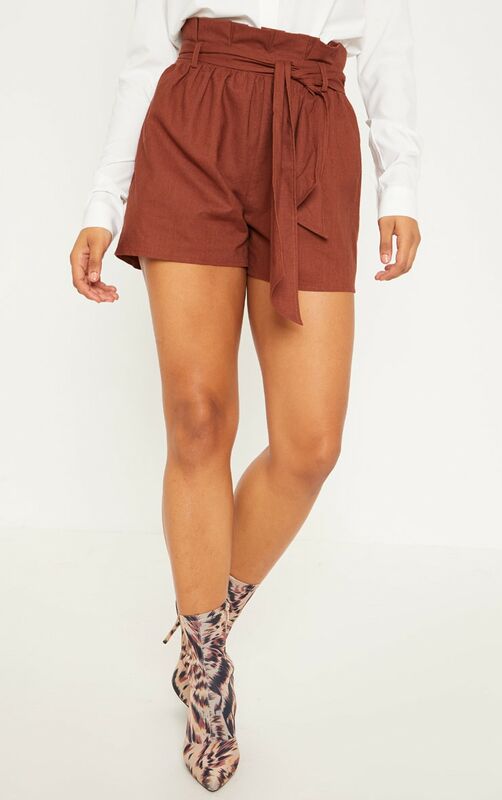 Style with a white shirt and printed sock boots to complete this killer weekend look.